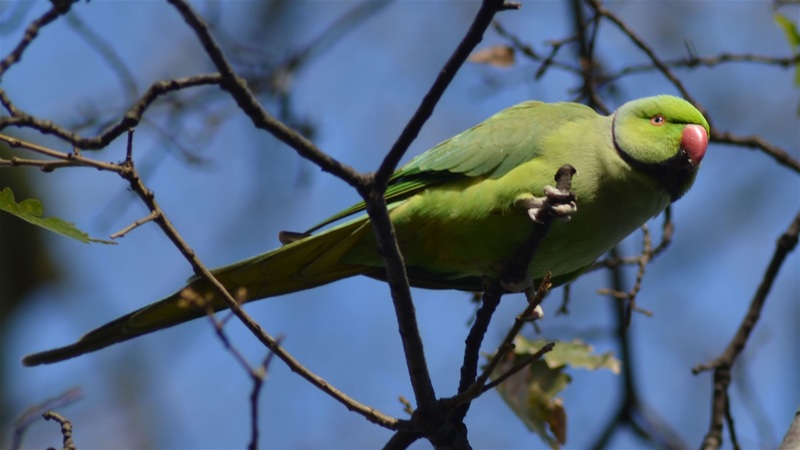 They are exotic and beautiful; they bring a touch of the tropical to a winter’s day in South West London.I have become increasingly attached to the feral Parakeets of Battersea. I have seen them both in Battersea Park and on the Commons in Clapham/Wandsworth, as well as further afield in open spaces across London and in Richmond and Brockwell parks. As a Battersea resident, I find that there is much that sets our district apart from the world. It is a pleasure making my life here and that pleasure is delivered in so many unique ways. Starting with my young son shouting in wonder as a resplendent and undoubtedly, out of place creature darts from tree to tree, spreading vibrant colour as it goes on its way, this is just one of those mini-moments. To put them in context, we can get equally excited when a grey squirrel comes and gathers scraps inches from our feet. It is just that, that interaction with nature is not as colourful (and although grey squirrels are non-native they just don’t seem exotic anymore). In this blog, I am not going to offer any facts or scientific study on the birds. What I will do is comment on what I see. I will offer observations based on my own time spent in and around the bird's environment on the commons and in the Parks of London. I will comment on what I read about them but to be clear with my readers, this is not meant as a study, it’s a commentary, on what I see of our wonderful, feral neighbours. For my most recent Parakeet observations look here. 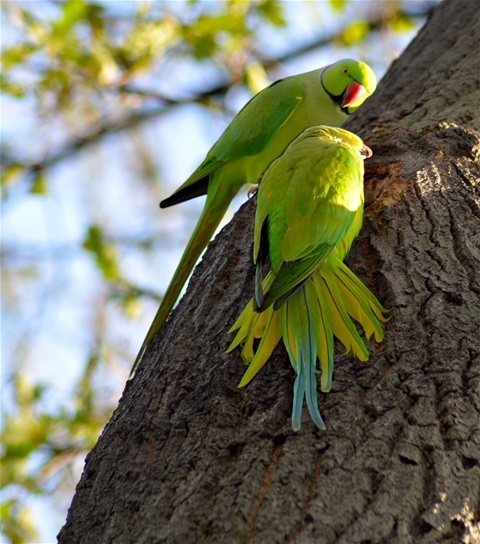 For Parakeet imagery captured in and around London look here.